Once we reach the end of October, it becomes clear that Christmas is just around the corner. But that’s not the only thing that alerts me to Christmas’s impending arrival. The other thing that tells me is all the events that are on around this time. Some, like the Omega Writers’ Conference, I was unable to get to this year, but others have been a joy to attend. Some are in my personal life. My son graduates from primary (elementary) school this year and much to my surprise and delight, was awarded dux (it’s like being valedictorian) of the primary school. That was amazing to experience and such a wonderful thing. I certainly never came close to achieving anything like that in school! Another event happens next weekend. Although I was sad to miss Brisbane ComicCon in September, I will be at Brisbane Supanova next weekend, from the 9-11th November. 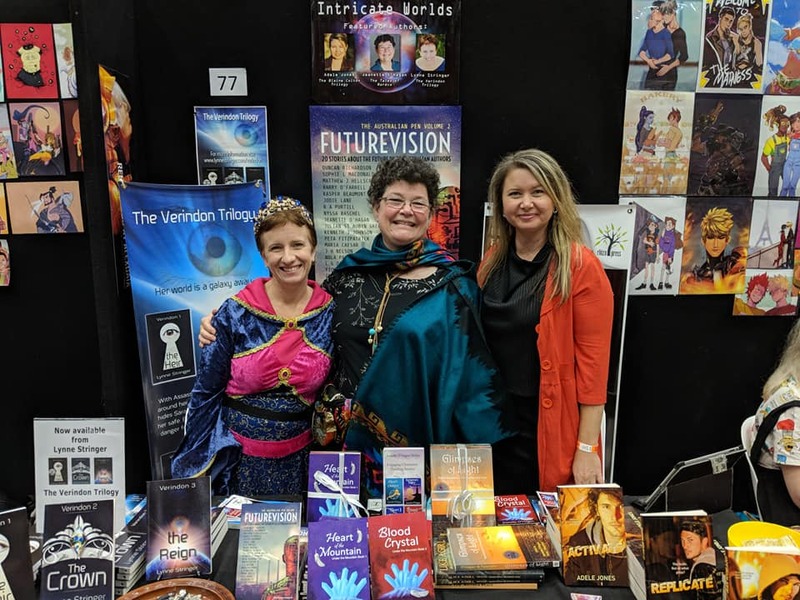 I’ll be at the Rendered Realms table with my two author friends, Adele Jones and Jeanette O’Hagan. We’re looking forward to chatting with people, seeing some great costumes, and hopefully selling a few books. Also, in good news on the publishing front, I’ve had a short story accepted into the Challenge Accepted anthology, with all proceeds going to the Special Olympics. It’s great to be involved in something that supports a worthy cause and gave me the opportunity to try my hand once more at short story writing, which I don’t find easy! I was glad I succeeded.